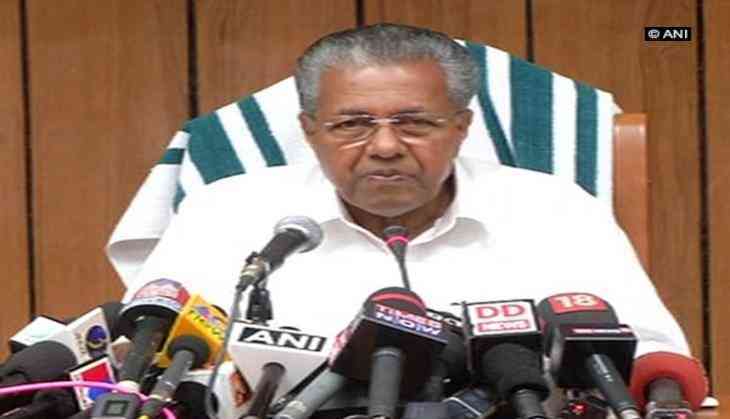 Kerala Chief Minister Pinarayi Vijayan on Thursday said that they have housed as many as 59,296 flood-hit victims in 305 camps, set up by the authorities across the state. Addressing the Kerala legislative assembly, Vijayan informed that Rs. 738 crore has been deposited in the chief minister's distress relief fund till August 28 for the rehabilitation of flood-affected people and reconstruction of damaged infrastructure. The Chief Minister also stressed upon the need to discuss the future course of action pertaining to rehabilitation in the areas which are prone to landslides and floods. "We should discuss and decide whether rehabilitation should be done in the areas which are prone to landslide and floods. Rs 738 crore has been received in the Chief Minister's distress relief fund till August 28," he said. He further informed that first stage of rescue has been completed, while rehabilitation work is underway. Talking about the devastating effects of nature's fury, Vijayan said, "483 people have lost their lives due to heavy downpour in the state from August 9 to August 15. 352.2 mm rainfall, which was three times than the normal rains were recorded in the state." The Chief Minister also added that due to overflowing of dams and increased number of landslides and mudslides, lakhs of houses got washed away rendering thousands homeless. "Many government offices and documents were damaged in many places and the whole landscape has changed. Kerala was thrown into the worst flood in the century," Vijayan said.